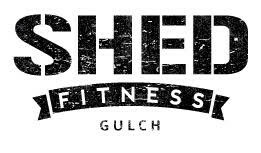 Start taking classes at Shed and other studios! Please bring a towel and water! They also have towels and water available for purchase $2.00/$3.00. - Bring a good attitude, be ready to work! Fun times. Kind of. Cars can enter on the 12th Ave South entrance and pull their car around to the second level in the parking garage. Shed will validate parking. Please note the following for parking validations in the Gulch! Validations are only to be used if: -you're parking for less than 2.5 hours -in the morning: must be out before 9am -in the evening: cannot pull in before 4pm -no validations are to be used during the day (this includes the noon class!) -weekends: parking available for class hours only! I thought I was in shape but then I went to a Shredder class. I spent the bulk of the class sucking wind but I will definitely be back. Great studio, welcoming staff and a challenging workout! Looking forward to the east side location opening. This class is so hard (I’m out of shape)! But Brittany helped me with alternatives. I see a few comments where people say they weren’t helpful for beginners but I’ve found the complete opposite. Anytime I’ve said I need help, someone is always willing to give it. I love this class (and Shed)! Can’t push open doors after this class! Hard but worth it! Everyone is so nice and welcoming. It is very true that all levels can come here and be a part of a really encouraging and positive environment. Such a good workout. They know how to make you sweat.